Diving into the world of Slow Food. 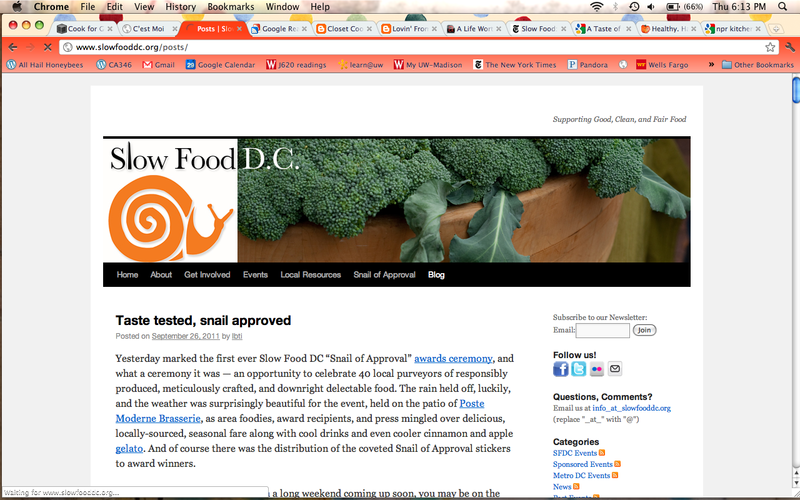 My practicum assignment is to explore special interest groups and since I am a bit obsessed with good and fair food I am exploring the Slow Food movement in this world wide web! I have joined the Slow Food UW facebook group as well as the page and started getting aquainted with how others are interacting by posting some pictures from my Slow Food UW Cafe lunches as well as posting some information I thought other foodies would enjoy. I tried to follow suit of what the other five hundred some followers have been doing. 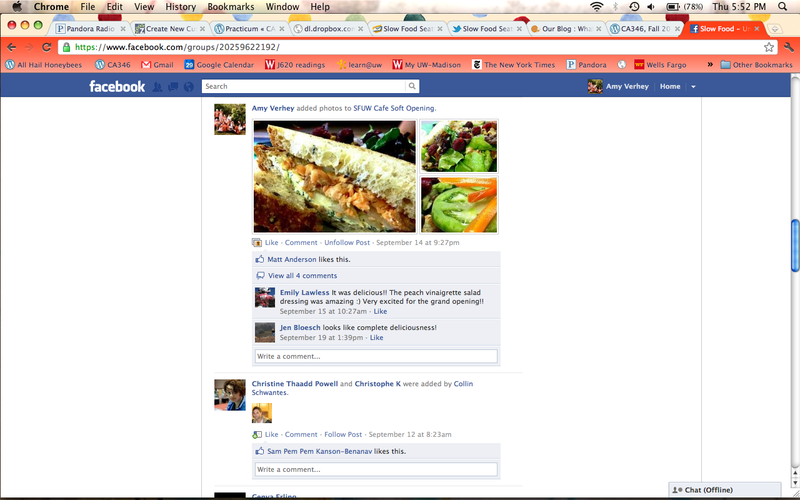 So far I have started to realize that the Slow Food UW page seems to appear more like a discussion board which is interesting to experience. 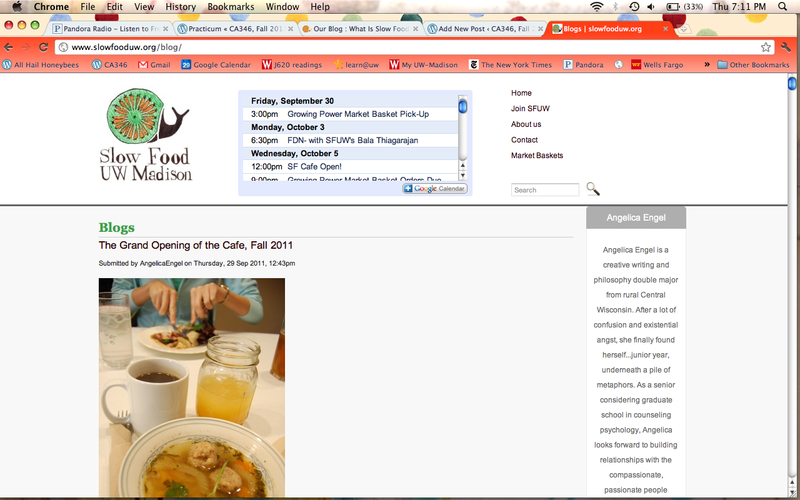 I have also started to explore blogs that are about food and in line with the Slow Food movement. 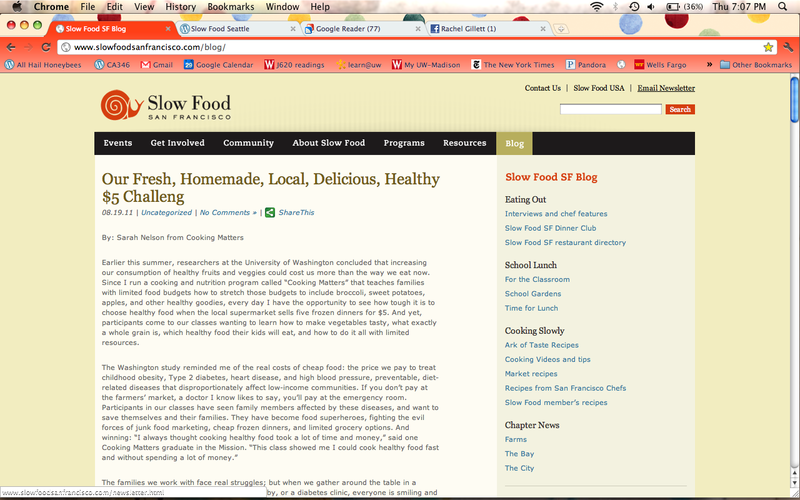 I have found that many of the various Slow Food chapters across the U.S. have well developed blogs with recipes, upcoming events and interesting articles. I have subscribed to many of these are started a reader through Google in order to have a central place for the RSS feeds of these blogs. I am eager to continue my search for other foodies interested in the works of Slow Food and also to try some of the awesome recipes I am coming across, bon appetit!! The prompt for the final practicum paper is now posted on the Practicum page. That paper is due on the last day of lecture, December 15, and you should have all of your blog posts finished by then, too. Good luck getting the projects finished up!